Mobilize Mail > Will Google+ Survive? 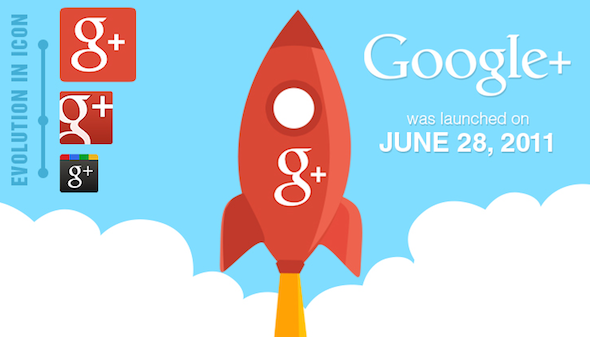 Google+ has just had it’s 3rd birthday. Do you have a Google+ account yet? Google+ was launched in 2011 and now has 359 Million active users – still a long way behind Facebook’s 1.28 Billion users. More females use Google+ and the average age is 28 – versus the average age of Facebook users being 38 years. Facebook also has a near even spilt of male and female users. Google+ is more attractive to people in the technology and engineering industries whereas Facebook attracts all industries. While Google+ is clearly no real rival for Facebook, it has worked for Google insofar as it has unified Google’s products so it’s future is expected to remain bright.